1914 Gympie’s Great War was proudly produced through the grant received from the Department of Veterans Affairs. The 1914 book records the early days of Gympie and the surrounding areas. The book also includes the boundaries that were used in deciding who we could include in our books. The Gympie Times was instrumental for recording the events leading up to the declaration of war and how this affected every single person. The passions that were fired up by the men when they joined the call up. The fundraising by so many organisations and individual people. The children who raided their piggy banks and sang songs to send money “so the Belgium babies could have milk”. The socks and gloves that were knitted to keep the boys warm in their first cold winter. So many men enlisted from the Wide Bay area. Some had previously fought in the Boer War and came home experienced. Many of these men became Officers and led the new recruits on their big adventure. Most of the men (and boys) were from the land and were riflemen. In fact they were the first ones selected in many cases. The story of the Omrah features heavily in 1914 as does its sister ship Star of England as they were the first two ships that took “our boys” off the shores of Australia. We are very proud of our first edition and we hope you like it as well. The 1914 Edition book is $30 + $14 postage (parcel post). If you are interested please click the Order Book 1914 button and email your details to us. 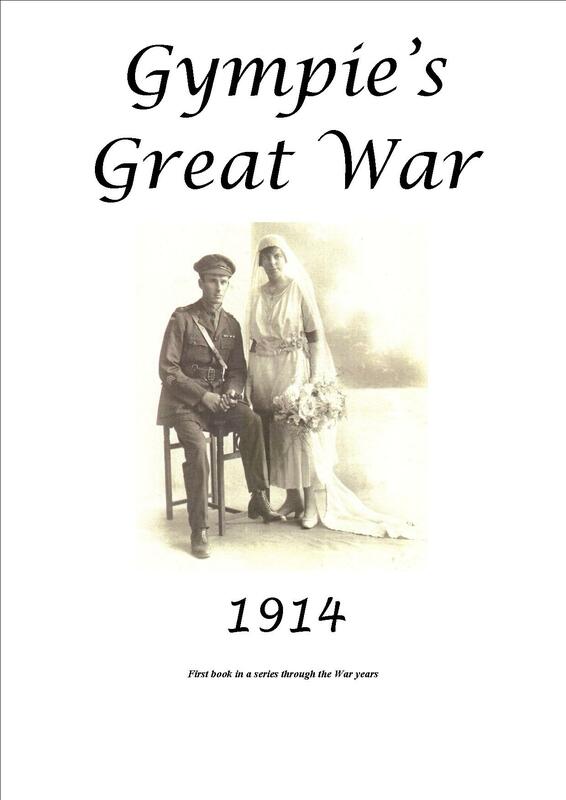 1915 books are now available as well – get the whole series. 1914 Missing photos – Although we have photos of many of the Servicemen who enlisted during 1914 in the area, we are still missing some. We would love to have a visual record for everyone if possible. Can you help? If so, please contact us using the ‘Diggers Contact Form’ below. James had arrived in Australia from Scotland in Nov 1865 during the depression years prior to Nash finding gold in Gympie in 1867. James, a magistrate and three other similarly wealthy men came to the conclusion that trading with the community was a far better way to make their living. With funds generated from their respective interests in the gold fields James, along with Abraham Fleetwood LUYA, John WOODBURN & Frederick George GOODCHAP made a bid for land on the shores of Lake Cootharaba known as Elandra Point. These four men were the founders of MCGHIE, LUYA and Company and developed their Elandra Point sawmill, a wharf at Tewantin and established timber yards at South Brisbane, where the South Brisbane Dry Dock Breasting Wharf now stands. More in our upcoming 1915 book. William Alan Beevor was a cadet at the Royal Military College, Duntroon. 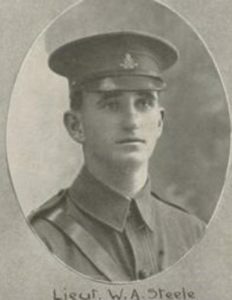 He enlisted in the AIF on the 15th August 1914 at the age of 19 and was allotted to the 2nd Light Horse Regiment, “A” Squadron. He embarked from Brisbane on board HMAT A15 “Star of England” on the 24th September 1914. 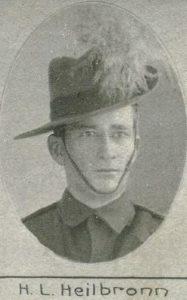 William served in both Gallipoli and on the Western Front. A report from his Commandant gives his personality as forceful, dominating and determined, but quite frankly cheerful and nice about it all. Military Medal and Distinguished Conduct Medal. Born in Gympie, 15th January 1887 to parents Edward & Mary Augusta (nee RAYMOND). He was an Engine Driver who enlisted in Gympie 20th August 1914. He embarked at Pinkenba Wharf Brisbane on 24th September aboard H.M.A.T (A5) Omrah being the first ship to leave Queensland with troops for the war. Served Egypt, Gallipoli & Western Front, 9th Battalion, 1st Machine Gun Battalion. Wounded in action on three occasions. Married Nellie Elizabeth FRY, 3rd August 1918, Sutton UK. Returned to Australia. Died 27th April 1951. 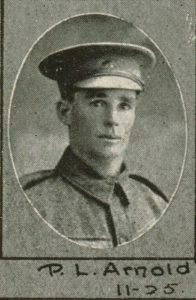 Born in Gympie he was a labourer who enlisted in Gympie on 21st August 1914 and allocated to 2nd Light Horse Regiment. He died of Pneumonia on 11th September 1914 in Brisbane General Hospital. Buried in plot MPB-10-303 at Gympie Cemetery with full military attendance. Born in Gympie to mother Ann Elizabeth. He was a 26 year-old mill worker when he enlisted in Mackay on 19th December 1914. Served Gallipoli & Western Front with 11th Light Horse Regiment & 1st Field Company Engineers. Returned to Australia and died on 8th December 1964, buried at Mackay Civil Cemetery. 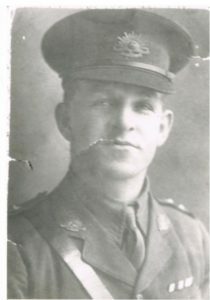 Captain of Woondum Rifle Club at the time he enlisted on 5th September 1914. Albert sailed from Brisbane when he was just 20 years of age aboard the H.M.A.T (A5) Omrah and set sail on 24th September 1914. With the 9th battalion he fought and lost his life at Gallipoli on 28th June 1915 and buried at Shell Ground Cemetery (Plot I, Row D, Grave 14), Gallipoli, Turkey. His elder brother Horace # 23 and younger brother Jack # 422 both returned to Australia. Born in Gympie his father was John. Working as a miner he enlisted in Gympie on 21st September 1914. Served at Gallipoli with 2nd Light Horse Regiment where he was wounded and died on 17th May 1915 aboard the hospital ship Gascon. Commemorated at the Lone Pine Memorial, Gallipoli, and Australian War Memorial Roll of Honour panel 3. Born in Gympie on 9th March 1893 to Theodor Johannes Gottfried & Mary Jane (nee WILLIAMS). He was a grocer who enlisted at Enoggera on 20th August 1914. He embarked at Pinkenba Wharf Brisbane on 24th September aboard H.M.A.T (A5) Omrah being the first ship to leave Queensland with troops for the war. Served in Gallipoli and France with 9th battalion. Wounded in action twice and returned to Australia then served in WW2 (QX50074) attaining the rank of Honorary Major following service in Japan. Died at Sandgate 14th August 1979. **A more complete story will be featured in the 1914 book. 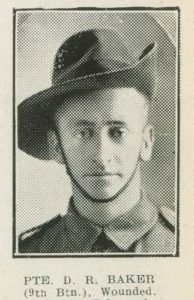 At the age of 32 years this English born gent enlisted in Gympie on 25th August 1914 where he lived with his wife Martha Gladys on the corner of Hilton & Excelsior Road. He gave his occupation as a miner. He sailed aboard H.M.A.T (A5) Omrah being the first ship to leave Queensland with troops for the war then served initially with 9th Battalion, B Company before being transferred to 3rd Field Ambulance. Returned to Australia as medically unfit and discharged on 24th May 1915 suffering from a serious kidney complaint. He died on 17th June 1934. Born in Liverpool, England on 29th March 1893 he worked as a Postal Assistant pre and post war. At the age of 83 years he applied for his medals for service that had commenced on 7th December 1914 until 30th October 1919. He rose from Trooper with 5th Light Horse Regiment in Egypt to rank of Squadron Sergeant Major. He had been a member of the Gladstone Rifle Club prior to his pre war appointment at Gympie post office. At 28 years he was a single man working as a labourer in the Gayndah area when he enlisted in Brisbane on 19th November 1915. Born in Gympie his father was Peter Garvin Arnold who also lived in Yerra on the Gayndah line. A soldier with 25th Battalion he earned a Military Medal during operations east of Ypres in September/October 1917. “Private Arnold was one of a party transporting timber for a road round Bellewaarde Etang on the afternoon of 26th September, 1917. During consistent shelling, a driver of one of the wagons transporting timber was killed. Private Arnold immediately volunteered to drive the team, and handled it skilfully and coolly under very hot fire and difficult traffic conditions. This man does not spare himself in any way, and does more than his share, and sets a splendid example. 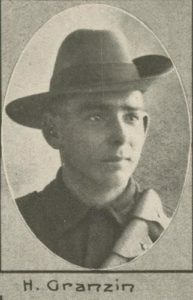 Peter was wounded in action on three occasions and returned to Australia for discharge in Brisbane on 27th September 1918. He died on 6th July 1974 and was buried in Kandanga Cemetery. He had taken up work as a printer and with previous military cadet experience he enlisted and gained a commission with the 1st. Field Artillery Brigade as 2nd Lieutenant. He sailed aboard the Rangitira into Egypt and at Maadi Camp he resigned this post on 4th January to re-enlist with 2nd Light Horse Regiment two days later on 6th January 1915. Serving at Gallipoli and in Egypt he again resigned his position before taking a British commission as 2nd Lieutenant on 2nd January 1916 with 5th “B” Reserve Royal Field Artillery stationed at Ballincollig, County Cork, Ireland. He remained with this unit for the remainder of the war receiving a full Lieutenants commission during 1918. James was born in Gympie on 28 Sep 1894. 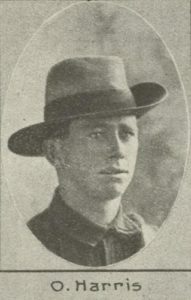 He attended One Mile School and won the Smyth Medal in 1909. 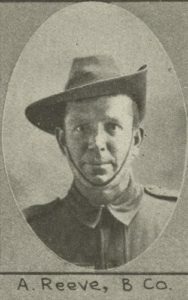 James was a schoolteacher who enlisted in Gympie on 21 Aug 1914. He embarked at Pinkenba Wharf aboard HMAT A5 Omrah as a Sergeant in the 9th Battalion. He was in the first landing on Gallipoli and was wounded on the third day but after hospitalisation, he returned until the evacuation some months later. James was then sent to France with the 49th Battalion, gained promotion to Lieutenant and was decorated with the Military Cross for conspicuous gallantry and devotion to duty.